The production line was controlled by an obsolete Siemens S5 PLC with cascade control of sixty drives. Line had failed PUWER assessment and required upgrade. Replaced the S5 PLC with latest Siemens S7-300 and MP277 HMI’s. 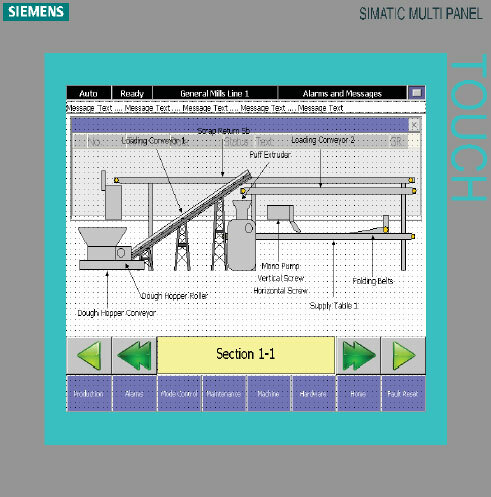 Networked Siemens drives installed and cascade control achieved via user-friendly screens. Functional Safety achieved using AS-i Safe with machine guards and E-Stops connected to a number of AS-i Safety Monitors.